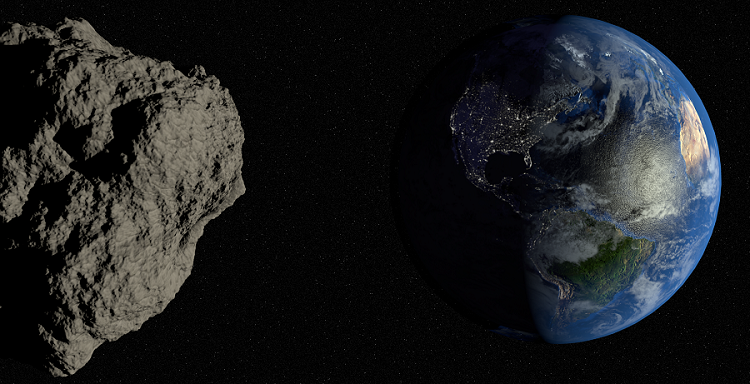 Welcome to the Asteroid Deflection Research Collaboration web site! In 2008, Iowa State University created a new center on asteroid deflection research with Professor Bong Wie, the Vance Coffman Endowed Faculty Chair, as the founding director. This center has been doing research in the exciting field of asteroid deflection since then, and has produced numerous papers which can be viewed in the publications section of the website. If you would like more information about the Asteroid Deflection Research Collaboration, please contact Bong Wie for more information. The 4th IAA Planetary Defense Conference (PDC) was held April 13 – 17, 2015, in Frascati, Italy. This years’ theme was “Assessing Impact Risk & Managing Response.” Over 300 people from all over the world traveled to Frascati, a town in the province of Rome in central Italy. Among the attendees were Ben Zimmerman, George Vardaxis and Joshua Lyzhoft, PhD Students in Aerospace Engineering under Dr. Bong Wie. During the banquet on the penultimate day of the conference, the winners of the best student papers were announced and awarded prizes. The aim of the student competition is to help promote excellent academic work and informed political debates by enhancing research and awarding students for their work in the area of impact threats. Ben Zimmerman received an award for second place with 300 Euros in prize money. His colleague, Joshua Lyzhoft was awarded first place and a cash prize of 500 Euros for his outstanding paper.